Born in 1970, Michael Barth is a conductor and high school teacher. From 1994 to 1999, he studied at the college of music in Cologne, majoring in conducting, piano and viola with Prof. Volker Wangenheim, Prof. Roswitha Gediga and Karlheinz Steeb. 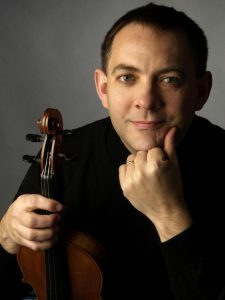 Following his change to the Folkwang University of the Arts in Essen, where he studied conducting with Prof. David de Villiers, he graduated with honours in 2002. At the age of 22, he made his first experiences as a conductor by founding his own youth symphony orchestra. When he was a college student, he directed several student orchestras in Cologne as well as Düsseldorf. Furthermore, he worked at the Kammeroper Köln and at the opera department of the Folkwang University of the Arts in Essen, which, under the leadership of Prof. Xaver Poncette, culminated in Barth’s production of “The Merry Wives of Windsor”. After graduation, Michael Barth worked as répétiteur in Hagen at first. Later, he decided to work as a teacher instead, teaching music and biology. In addition to his position as a high school teacher, Michael Barth taught conducting classes at the college of music in Cologne from 2004 to 2014. Michael Barth lives in Bonn. He works at the Friedrich-Ebert-Gymnasium and, since winter term 2017/2018, is the current director of the Collegium musicum Bonn Symphony Orchestra.